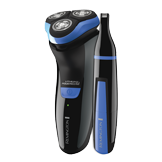 Trim, shave & cleanse with the Barber's Best Pro Power Shaver. 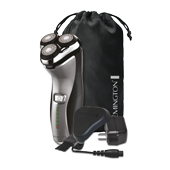 Shave, Groom & Cleanse with the Quick Shave Pro. 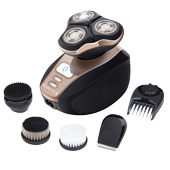 One tool with 5 attachments provides the complete solution for your grooming routine. Latest shaving innovation. 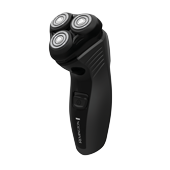 Ergonomic design fits in the palm of your hand to provide you with a quick, comfortable, close shave. 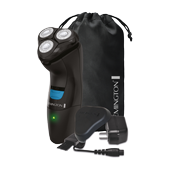 Turbo power and full-floating shaver heads provide a fast close shave for even the toughest beard. 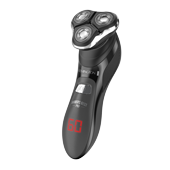 Featuring Titanium Coated Japanese Steel blades for a smooth, close shave. 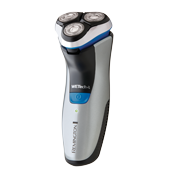 Innovative WETech design with Japanese stainless steel blades for a clean, close shave. 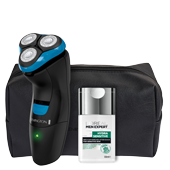 Remington and L'Oréal Men Expert have combined their expertise to provide men with the perfect shaver and after-shave care. 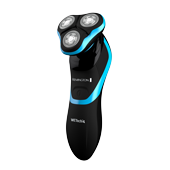 The innovative WETech design is 100% waterproof, specially designed for a close wet/dry shave. 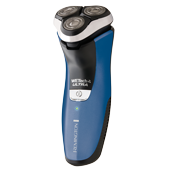 Stainless steel dual track blades are precision cut for a smooth close shave. 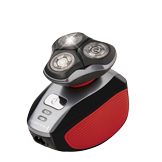 Puts closeness and comfort in the palm of your hands. 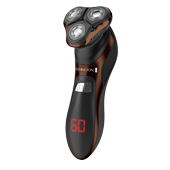 Titanium-coated blades deliver durability and performance, quickly shaving hair close to the skin with every pass.